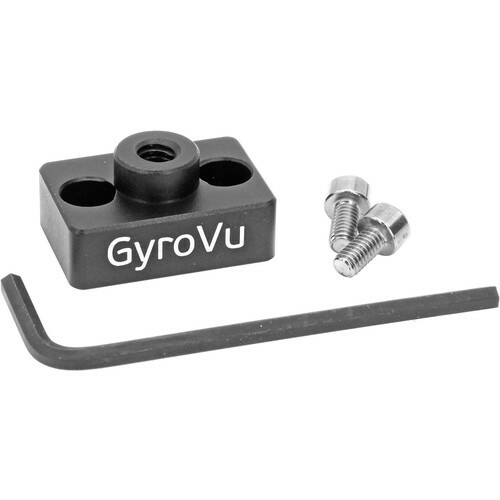 Use this 1/4"-20 Accessory Mount from GyroVu to mount an accessory to the side of your DJI Ronin-S. Two screw holes are drilled to fit the threads on your Ronin-S, and a 1/4"-20 female thread allows you to mount an accessory with a 1/4"-20 screw such as a mounting arm. An Allen wrench and two screws that attach the plate are included. Box Dimensions (LxWxH) 5.0 x 4.6 x 0.85"